Edward Turgeon has performed with noted musicians of our time including Sidney Harth, James Campbell, CheeYun, David Jolley, Ivan Chan, Keith Robinson, Michael Rusinek, Michael Webster, John Dee, Ransom Wilson and Laura Gilbert. As a member of the piano duo “Duo Turgeon”, with his wife Anne, Edward has performed at Carnegie Hall, the Concertgebouw of Amsterdam, several Russian concert tours, Asian appearances including Singapore’s Yong Siew Toh Conservatory, and music festivals in Chicago, San Francisco, San Diego, Detroit, Santa Rosa, Toronto, Montreal, Norfolk, Minsk, Krasnoyarsk, Chisinau, Miami and Kitchener. The duo is the only Canadian piano duo to have taken first prizes and numerous additional prizes at the world’s major international duo piano competitions including the Murray Dranoff International Two Piano Competition (Miami) and Schubert International Competition for Piano Duos (Czech Republic). Their six recordings on the Vanguard Classics, Marquis Classics, Marquis/EMI, Dranoff Foundation and ClassXdiscs labels are hailed by critics, including several “top ten” lists (CBC), “Artist of the Month” (CBC Galaxy) and high ratings from periodicals and guides such as La Scena Musicale (5 out of 5 stars), “Les Grandes Pianistes et le Piano”, Wholenote Magazine, Musicweb, Soundstage, and the Canadian Broadcasting Corporation’s “Sound Advice” (5 out of 5 stars). The Turgeons have given world premiere performances of works by Alex Pauk, Libby Larsen, Aaron Copland and John Corigliano. Noted French music critic Stephan Villemin recently named the duo as “among the top four or five world class piano duos of our time”, and they have been included in the French publication “Les Grandes Pianistes et le Piano”. Their performances are heard in radio broadcasts worldwide, including National Public Radio’s “Performance Today”, CBC, BBC Radio, the NPR television documentary “Two Pianos – One Passion”, American radio stations including MPR, WPR, WQXR, WGBH, CBC Radio I and II, Dutch Public Radio, and the Australian Broadcasting Corporation. Turgeon was recently invited to join the international roster of Steinway artists. Turgeon appears frequently as a competition judge, most recently at the Murray Dranoff International Two Piano Competition, the Chicago Liszt 200 International Competition, Isidor Bajic International Piano Competition (Serbia) Markham Music Festival, National Society of Arts and Letters Competition, Hamilton Kiwanis, London Kiwanis, Windsor-Essex Kiwanis, Premio Brazil International and the national finals of the Canadian Music Competition. Dr. Turgeon’s college, conservatory and university work has included Associate Professor of Music and Artist Faculty in Collaborative Arts at the HARID Conservatory, Associate Professor of Music, Director of Keyboard Studies, Director of Collaborative arts and Ensemble-in-residence at Florida Atlantic University’s Dorothy F. Schmidt College of Arts and Letters, School of the Arts, Boca Raton, Florida. In July 2013, Turgeon was appointed Associate Professor at Algoma University in Sault Ste. Marie, Ontario, Canada, where he serves as Chair of the Music and Visual Art Department, Keyboard Faculty Member and Artist-in-residence with his wife Anne, as a member of the piano duo, “Duo Turgeon”. Turgeon has served as senior mentor examiner for the Royal Conservatory of Music’s College of Examiners since 1990. 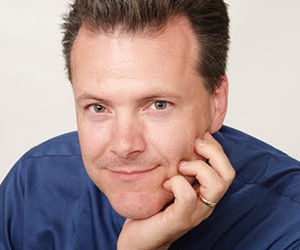 He is a frequent clinician and presenter at conferences, including Music Teacher National Association, Florida State Music Teachers Association, World Piano Teacher Association Conferences, and the European Piano Teachers Association. Turgeon’s private, university and college students have gone on to study at well-known schools such as Eastman School, University of Miami, the Glenn Gould Professional School, and the University of Indiana (Bloomington). Some have won positions at colleges and universities. Turgeon’s students have won awards for highest marks on practical performance examinations in Canada and the USA, along with prizes in international competitions such as the Washington International Piano Festival Piano Competition. Turgeon holds a Bachelor of Music Degree in Piano Performance from the University of Toronto along with the Forsyth Memorial Scholarship for top graduating pianist, where he studied with Mr. James Anagnoson. He pursued graduate studies at Yale University School of Music, earning a Master of Music (1993), Master of Musical Arts (1994) and Doctor of Musical Arts (2000) degrees in piano performance, along with the Philip Nelson and Catherine Winchell Memorial Scholarships to “an outstanding solo piano performance major”, as well as Yale’s special prize for best chamber music ensemble. Turgeon’s piano teachers at Yale included Claude Frank, Peter Frankl and Boris Berman. Turgeon’s summer studies included a chamber music fellowship at Norfolk Chamber Music Festival, masterclasses at Holland Music Sessions, chamber music studies with members of the Bavarian Radio Orchestra at the Jeunesses Musicales International Chamber Music Festival in Weikersheim, Germany, and annual piano masterclass at the Banff Centre for Music and Sound, Banff, Alberta, Canada with Marek Jablonski. Additional private studies included Karl Ulrich Schnabel and Peter Serkin in New York City.